Durban University of Technology student and Fees Must Fall activist, Bonginkosi Khanyile, will appear before the Pietermaritzburg High Court tomorrow morning. Khanyile has been in custody since September when a number of students were arrested for partaking in the nationwide student protests calling for the government to scrap university fees and offer a decolonised education. 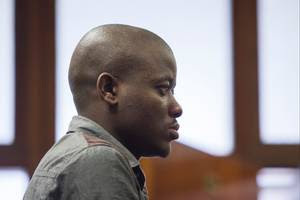 It is said that Khanyile is the only student activist still behind bars. 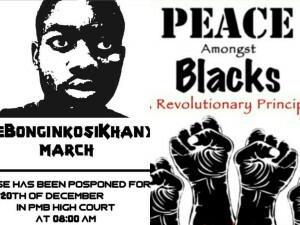 Khanyile, who is closely aligned to the Economic Freedom Fighters (EFF) Student Command has received wide ranging support from students and student formations across the country including the Black First Land First’s Student Movement (BLF-SM) which released a statement vouching to be part of the court proceedings tomorrow. “BLF-SM will be in the city of Pietermaritzburg to support Khanyile as he appears in court tomorrow,” the movement said in a statement. 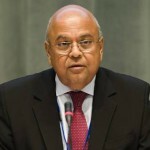 In the statement, the movement blasted the EFF for hypocrisy, noting how the EFF has been uncharacteristically quite about Khanyile’s arrest, whilst the EFF’s Advocate Dali Mpofu was roped in quickly to defend the likes of another student activist who is politically aligned to the ANC but is more popular and familiar to the country, Mcebo Dlamini. 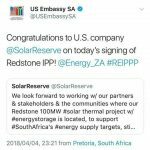 It seems the movement claims that Dlamini’s defence by the EFF was purely to score political points and gain public sympathy. The court case is due to take place on the 20th of December (tomorrow) at the Pietermaritzburg High Court at 08:00am. 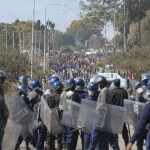 Is Zimbabwe on the verge of regime change?